We are a family friendly equal opportunity club with a small, enthusiastic ladies section. We have lady members in each of the membership categories - seven day, six day and five day. Membership Subscription for Ladies 2016. Six-Day (Sunday to Friday) - £650. Tuesday is designated as Ladies Day but as it is more convenient for some of our ladies to play their golf on Sunday our competition schedule reflects this with weekly comps on Tuesday and Sunday. 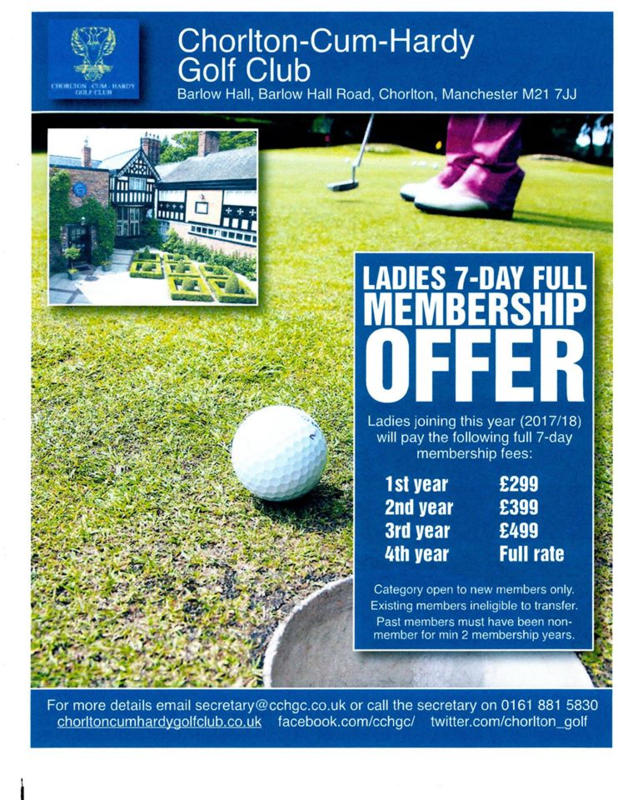 Those ladies who choose seven day membership can, of course, have access to the course on Saturday. Throughout the year there are competitions available to ladies on some Saturdays. As well as the weekly Tuesday and Sunday ladies competitions there are ladies knockouts (for six and seven day members). Team matches and inter-club events are available for all to enjoy. We have several ladies dinners throughout the year and our annual Christmas Party is an event not to be missed! These ladies events are in addition to the many club social events organised through the year. The annual BBQ is particularly enjoyable. On a nice evening or at lunch the view from the sun lounge or terrace over the 18th green is unbeatable. We have a regular schedule of mixed events, including a mixed knock out, an annual inter-club mixed bowl and regular Sunday mixed.